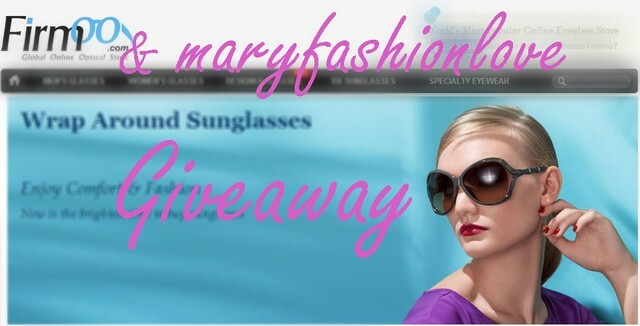 I am so happy to announce an other giveaway on my blog in collaboration with amazing Firmoo glasses. You may remember my post with their amazing pair of round sunnies that you totally loved. What's more? This giveaway will have 25 winners! Every winner will get a $20 voucher code that can use it to any order excluding the designer glasses and doesn't cover shipping. You can use this voucher only once until 25th of December, 2012! The best Xmas gift, right? 1. Leave a comment below this post, writing which glasses you'd like to have and your email address. Giveaway will expire on 15th of December, wish you all Good Luck babes! Great giveaway from a great blog. Best of luck!!! We're doing the giveaway too! These glasses look great and affordable!